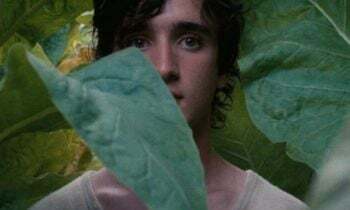 Lazzaro (Adriano Tardiolo) is an uncommonly obliging young man, one of a small community of farmers in a remote Italian village who tend the tobacco fields for the imperious Marquis de Luna (Nicoletta Braschi), blissfully unaware that such exploitative sharecropping has been outlawed since the 1980s. Indefatigably upbeat and accommodating, Lazzaro's endless goodwill is often abused by his fellow farmers. He strikes up a friendship with Trancredi, the Marquis's spoilt, feckless son who inveigles Lazzaro to act as his accomplice in a fake kidnapping to pocket his mother's ransom money. The surprising consequences of this ploy introduce a magic realist element to Rohrwacher's intriguing tale that operates both a rural fable and a creation myth for contemporary Italy emerging from an idyllic past to a compromised present.